*Resort at World Golf Village* is the most ambitious project ever undertaken in golf. For the first time, major golf organizations from around the world have joined together in support of this remarkable project. Adjacent to The World Golf Hall of Fame, this resort is a year-round paradise for anyone who longs for the ultimate Florida getaway. Overlooking the 17th and 18th fairways of The Slammer and The Squire championship golf course are the one- and two-bedroom villas. Just minutes away, you'll find some of Florida's best beaches and historic St. Augustine. Perfect for golf lovers going on vacation! Week 15! Buyer may receive a title fee credit, inquire for details! Negotiable!!!! Original price $14,782 just reduced to sell at $5,750. 7,500 additional points avail! 15000 points can be used anywhere in the network! Ultimate golf retreat! Yearly floating week! Buyer may receive a title fee credit; inquire for details! Beautiful resort! Perfect for golf lovers! 2 onsite championship courses! Buyer may receive a title fee credit, inquire for details! Great resort for the active vacationer! 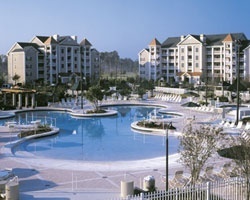 Enjoy golfing, tennis, swimming and more! Week 16! Buyer may receive a title fee credit, inquire for details! 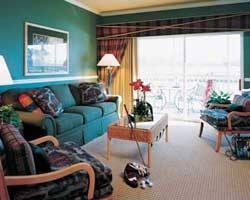 Beautiful golf resort with all the comforts of home and more! Week 3! Buyer may receive a title fee credit, inquire for details!